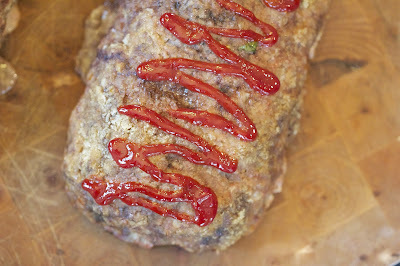 That's not to say that I haven't had a bad meat loaf, because I certainly have. They can be dry and flavorless and then it's like eating the hamburger that was left on the grill too long and nobody wants to take it but you. 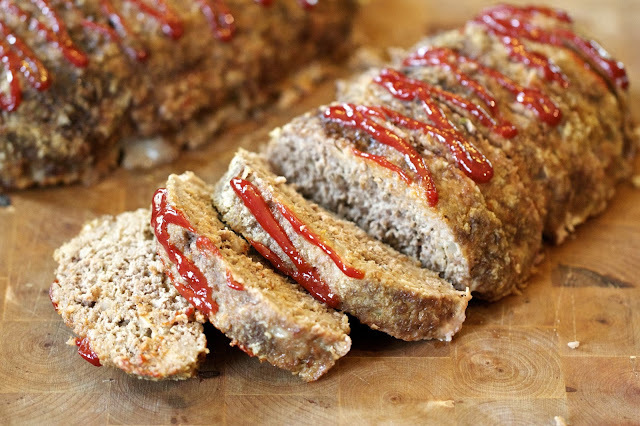 You're in good luck though because this meat loaf recipe is neither of those things and will satisfy any comfort food craving that may come your way. And this recipe has a secret ingredient that makes it so easy to make and guarantees perfect flavor. 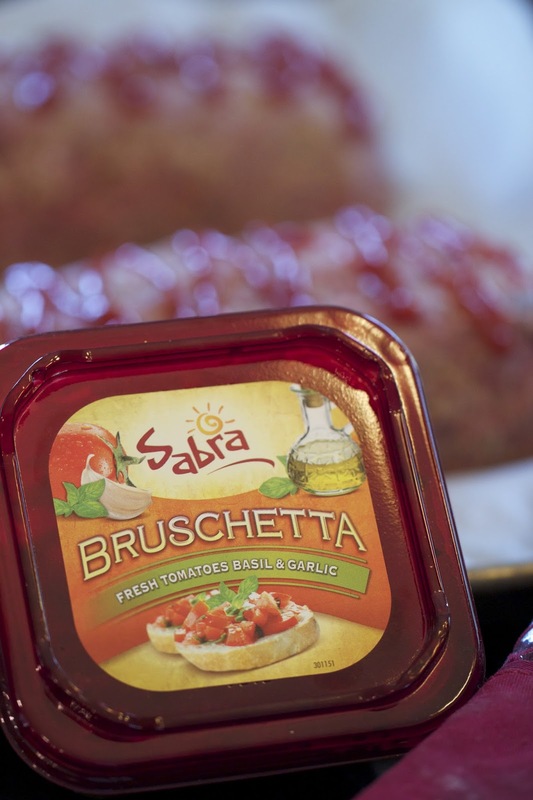 It's Sabra Salsa! 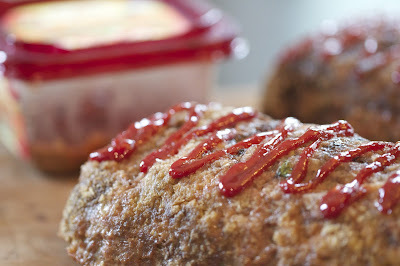 You could really use any flavor of their salsa and you're sure to have a great meat loaf. I used the Bruschetta version because I liked the combination of tomato, basil and garlic. Their salsa's are so full of flavor and taste like a fresh batch every time. My only other recommendation for this recipe is to get a good quality ground beef. It will help ensure it stays nice and juicy all the way through. Heat the olive oil in a large saute pan over medium heat. Add the onions and garlic and cook until the onion is softened, about 15 minutes. Set aside and let cool. In a large bowl, combine the ground beef, salsa, eggs, bread crumbs, salt, pepper and parsley. Add the onion mixture and gently combine all the ingredients. You don't want to overwork the meat here or your loaf will be too dense. Preheat the oven to 350 degrees. Divide the meat mixture in half and form into two loaves and place on a sheet pan. Drizzle the loaves with the ketchup. Bake the loaves for 45 minutes or until the meat is cooked through. Remove from the oven and let rest for 10 minutes before serving. I have a meat grinder. I like meat. So i will make it for my kid. This looks so awesome. I really want to have a try at my first sight of your recipe. Thank you so much for this post! I don't like meat, but when I see this meal, I want to try. I'll do it this weekend. Thanks for sharing! In terms of comfort food, meat loaf is a strong contender for first place. Visit my blog to read more about it. 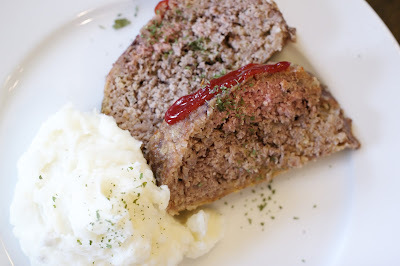 Hey thanks for giving us some good informations about meat loaf.it is a very delicious food .almost every types of people eat this.its taste like a burger.the ingredients that has been used in this dish is very useful for our health.like eggs.eggs r essential for human body .like eggs many there useful things has been used in this dish so it is surely a special dish. I just purchased a meat mincer and I am quite interested to try out some new recipes and this is going to be the first one so far. I will update you once I have tried out this one! Great to see the idea. Nice blog too. Thanks for the share.
. Of course, you can do it in another post! Any effort appreciated!